We are a proud supporter of Hands Across the Water. 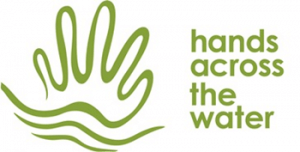 Hands Across the Water is an Australian, New Zealand and Thai charity that gives at-risk Thai children and their communities a helping hand. Their projects are tailored to meet local communities’ needs – for the long term. In 2004, the Boxing Day tsunami left countless Thai children alone and homeless. Former police forensic specialist Peter Baines, working with the tsunami disaster victim identification team, was deeply touched by the number of children left homeless and alone by the natural disaster. He was inspired to establish an organisation that could make a real difference. In late 2005, a team of committed individuals with the desire to help others formed Hands Across The Water. 100% of donations goes to the kids and their communities. No donors’ money goes to administration, Or staff costs, Or marketing, Or fundraising. Hand Across the Water support nearly 300 children in multiple locations across Thailand. We are a proud supporter of the Jane Goodall Institute of Australia. One of the biggest threats to gorillas is the illegal mining of coltan, a mineral used in mobile phones. Mining results in the clearing of essential habitat and drives the bush meat trade, further exacerbating the decline of primate populations. 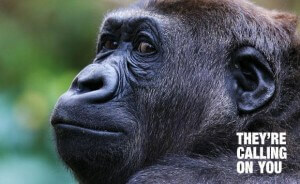 – YOU can help save gorillas in their natural habitat by donating your old phone. Coltan is a metallic ore that is mined both in and out of Africa and can be found within many electronic devices such as mobile phones. The mining of coltan within the Congo River Basin is contributing to forest loss and unrest in the region and is accelerating the loss of mountain gorillas at an alarmingly fast rate. Whilst efforts are being made to tackle this issue, the majority of the worlds’ known coltan reserves are found within Africa, and mining within gorilla habitat continues. Since 2008, over 114,000 phones have been donated and reused or recycled through They’re Calling on You, raising more than $208,000 for crucial primate conservation. We are a proud sponsor of Starlight Children’s Foundation, an Australian charity. Since 1988, the Starlight Children’s Foundation has brightened the lives of seriously ill and hospitalised children and their families throughout Australia. Starlight provides programs that focus on the total care of seriously ill children. Living with illness or injury can put a lot of strain on children and their families. While health professionals focus on treating the illness, Starlight is there to lift the spirits of the child, giving them the opportunity to laugh, play and be a child again. Ace are proud to provide continued support to RSPCA’s Million Paws Walk for the 6th year running, walking to fight animal cruelty in Australia’s biggest dog walk. The RSPCA provides refuge to animals that are lost, abandoned or rescued from cruelty by RSPCA and do everything they can to give every animal a second chance at a happy life. 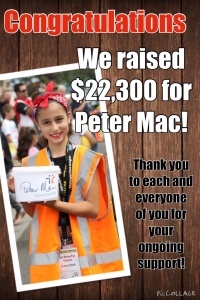 Every March the Annual Car Show to Fight Cancer at the Club Italia Sporting Club in Sunshine and this year they celebrated their 7th year of the show and of Ace Parking’s proud support, with all proceeds from parking at the show going to Peter Mac Cancer Foundation. The car show raised over $22,300 with an amazing range of machines on hand which included muscle cars, hot rods, cruisers, lowriders, street machines, mini-trucks, classics, utes, exotics, vintage and Euro cars, and custom and street bikes. We look forward to be able to support the Car Show for many years to come. 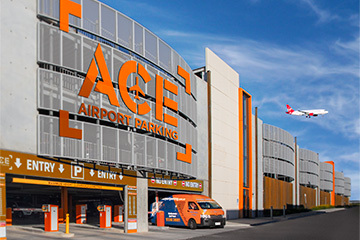 Ace Parking proudly supported one of our customers (Ritza) in her Ride to Conquer Cancer. We also collected donations to help her reach her fundraising goal with a donation box at our check-in. 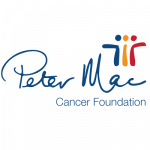 We’d love to congratulate Ritza on her fantastic achievement of raising $3,859.85 to help conquer cancer and safely completing the massive ride on October 2012.